We share a frustration that too many women sit back and let the men do the talking in the workplace, and we passionately believe that women can and should hold their own. Each of us has got a point of view that needs to be heard! 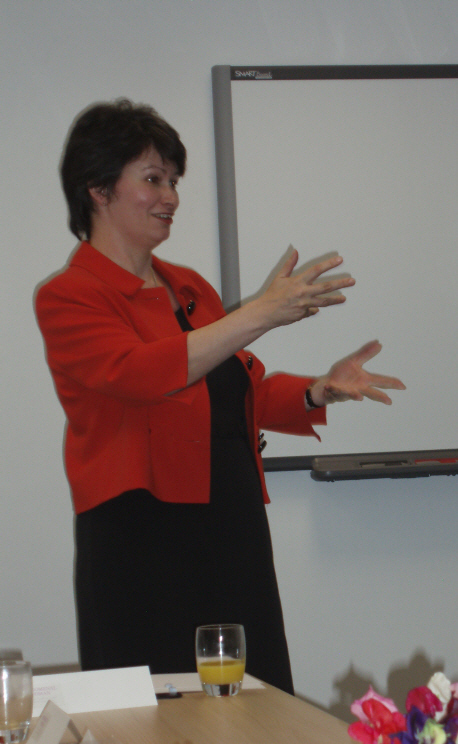 Phenomenal Woman launched in early 2011 and we’ve been running seminars across the North West of England to attract women to our campaign to get women speaking and influencing more effectively in the workplace, whether as employees of bigger companies or as entrepreneurs and business-owners. If you could benefit from our 5 Star Model of Presentation Skills, the next event in the diary is the Phenomenal Woman Experience, a weekend workshop at Manchester Airport Marriott on 16 – 18 September 2011. You’ll leave on the Sunday walking 2″ taller because you’ll be brimming with the confidence born of preparation, practise and feedback among a supportive yet challenging group of your peers. You’ll build friendships that will support your career over many years to come, as well as leaving with the 5 Star Model as a means to keep on improving your performance. More details on Eventbrite at http://bit.ly/bookp2p.